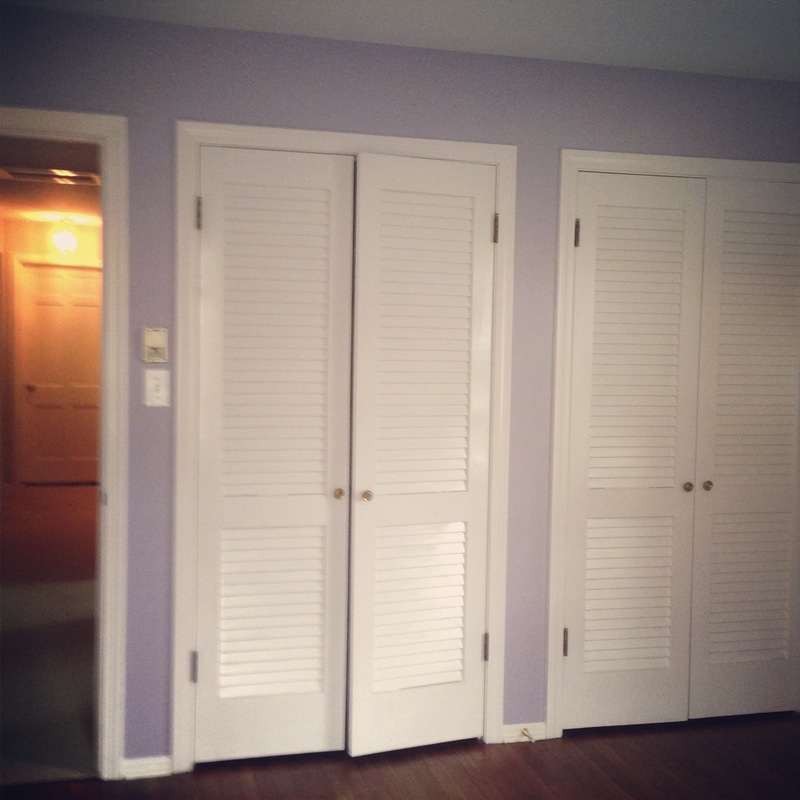 My closet doors were also getting painted the day I got home from school, so I wasn’t really able to put anything away as it came in from the cars. But, the bright side (literally) is that my doors are now perfectly shiny and white, which makes the room look 100x more done to me. The things in my closet got completely rearranged before anything from school went in them and most of my clothes got moved to new locations (which has been working better so far!). 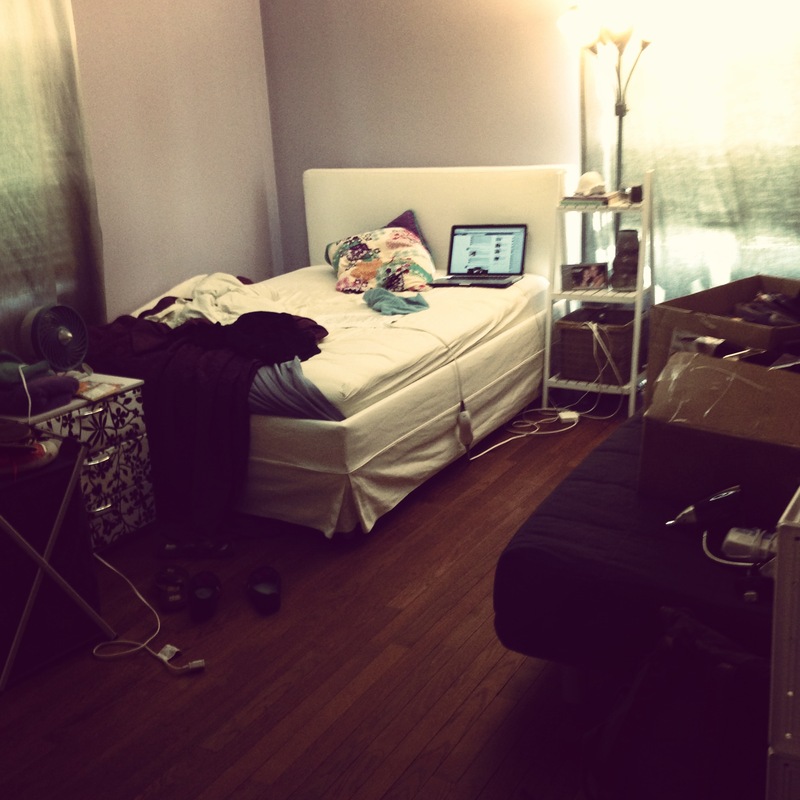 When I started to put my school things away, I really wanted everything to have a place and be organized as well as look good. As a college student, I have turned to 3m Command products to organized my life. The idea to use them in my new room started with the idea to use command strips for putting things up on my walls (no holes means nothing to patch). I decided that I could also use them in my closet to organize there. I put up a “command center” over my wire drawer unit in my closet that serves as my desk area now. Now, I have to admit that I have a lot of shoes. But I have nowhere to put them unless I use over the door shoe organizers. The problem with them is that a) you can see them from the outside of the closet and b) they would scratch my newly painted closet doors. So, I decided that I would try some heavy duty command hooks to hold them without using the over-the-door metal holders. 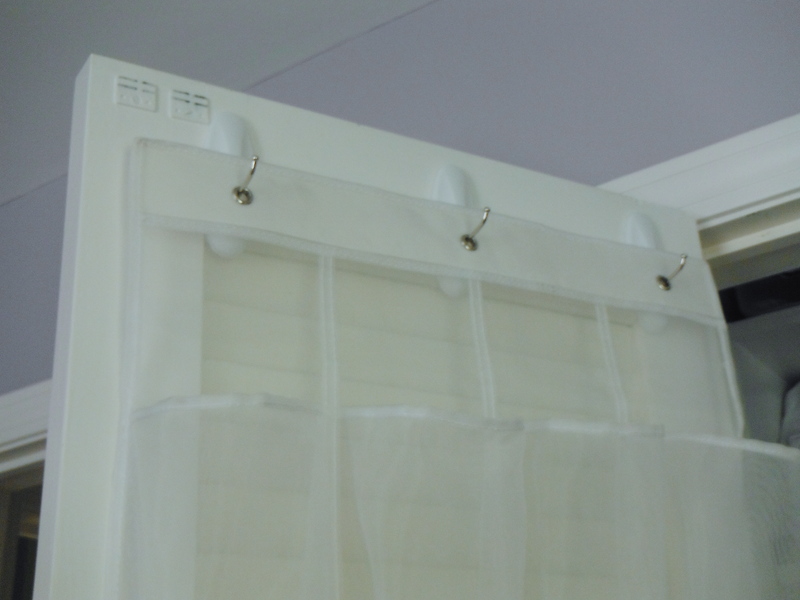 I did some research of which hooks I wanted on their website before I started to make sure I had the right product. My problem was that most of their heavier duty hooks have wider hook parts, and the holes in the shoe racks are quite small. I landed on these hooks to do the job. The bummer is that you cannot order off the website, so you have to go through a third party. When I got my hooks, I actually followed the instructions (which I don’t normally do) because I wanted them to hold a lot of weight. In the end, the were perfect for the job. After putting the shoe racks up, I wanted to organize my shoes. I laid them out in groupings (casual, sandals, and fancy). Then I just put them into the pockets. 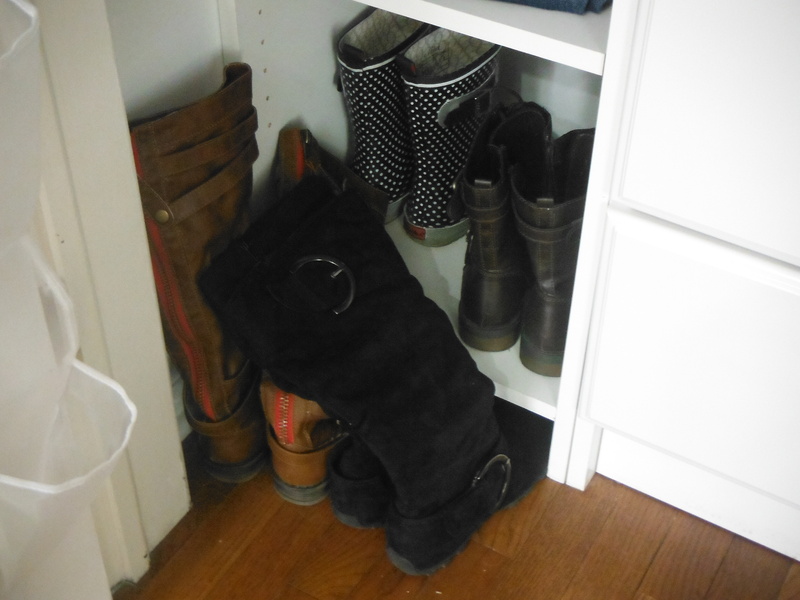 The last thing I did was put my boots on/in front of my bottom shelf. I plan on cutting up a pool noodle to make my floppier boots stand up and stay out of the way. 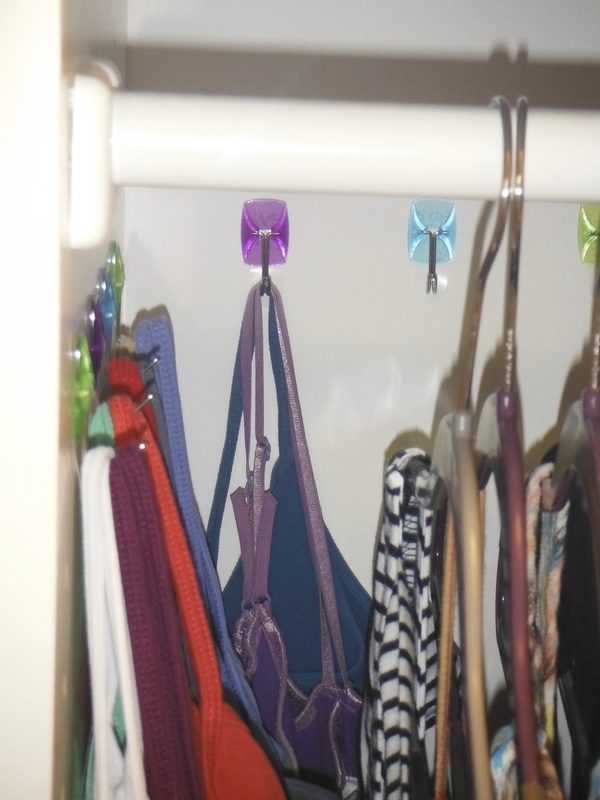 I also used command hooks that I had lying around from school on my other 2 closet doors for my scarves and my backpack. The last command hook project I tackled this week was to take care of my tank tops. I have a lot (who doesn’t) and I needed to organize them in some way. 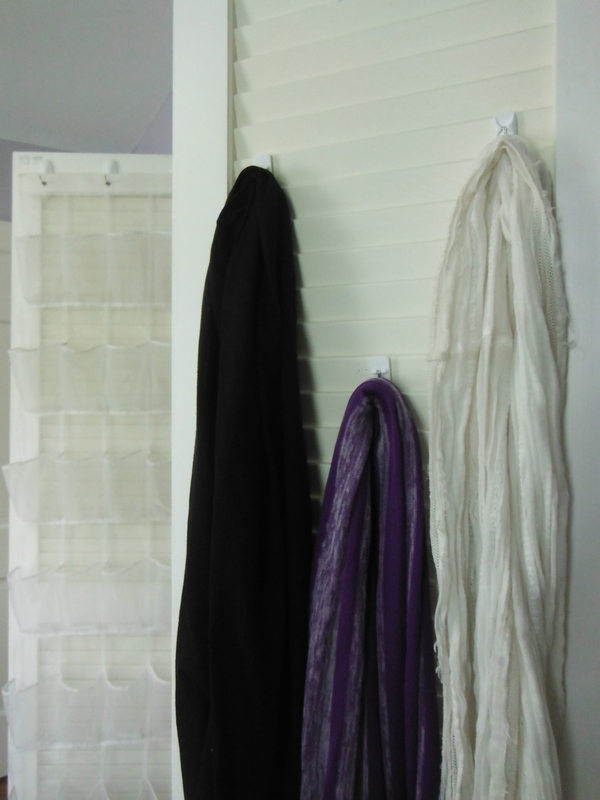 I got some of the new small, metal COLORED : ) command hooks to put those on the wall near my hanging clothes. How great are the new colors?!? So with all of this, I have decided that 3m Command should hire me as their new college spokesperson. I basically already am….